This first published collection of poetry and prose, The Unravelled Heart, presents a journey of breaking to mending, surviving to loving, and the courage to rise from our darkest places, undefeated. I couldn’t wait any longer to leave a review. I’ve been pretty much waiting with bated breath for The Unravelled Heart to arrive on my doorstep, and yesterday, it did. I follow Kathy on social media so I already knew this book was going to connect with me on a soul-deep level. I wanted to read it cover to cover right away but something about Kathy’s writing feels really sacred – almost holy, in some sense. I think I’m going to take it slow. I want to savor this because it’s different. She writes about pain and loneliness and abuse and what it means to continue living even when you feel completely broken, and she does it in a way that feels as though she’s reached through the pages of the book and gently peeled back all my layers. Each word is like a truth I didn’t even know I was waiting to hear. I think that’s what is so special about Kathy’s writing, and about this new book of hers. She has a way of putting the most intense and isolating emotions in the human experience into words and letting them breathe, and reading her words unlocks something deep and powerful within others, myself included. She stirs my soul. 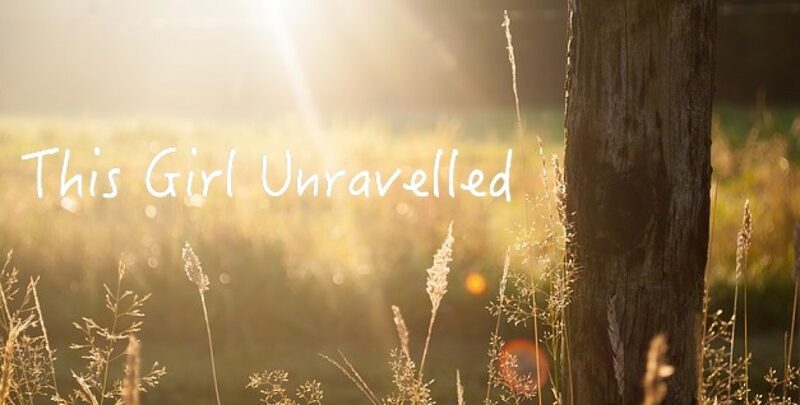 The Unravelled Heart isn’t just another book of poetry. Kathy Parker is a healer, and this book belongs in the hands of, well, every human being on the planet, IMHO. Before I began reading this, I was unsure how I would get through a book of poetry/prose. What I didn’t expect was the story that flows through it in the most unique, ingenious way. I could not put it down. Through every page I was inspired and deeply touched, not only by the author’s journey of pain to healing, but the connection to my own mind, soul and spirit. Kathy has written it in such a way that the words dance across the pages, enveloping you in their richness. Pages full of raw authenticity that will cause you to weep, to smile, to stand tall and to hear your own heart, as well as hers. A must read. Stunningly brilliant!! This book is a work of art; both the incredible cover and every single amazing word inside. Kathy has poured her heart and soul into every single poem and prose contained in this book, and creates a unique imagery that grabs you as the reader and draws you in, touching your heart and soul in a truly tangible and life-changing way. Like the brightest star in a dark night’s sky, this book connects with the reader and guides them on a journey from breaking to surviving, healing to loving, and rising above pain and sorrow. It delivers a message of the hope and empowerment to be found and realised out of the darkest situations. A real, raw and truly inspirational read that will help so many to find healing, and have a profound and positive impact on the lives of everyone who reads it.